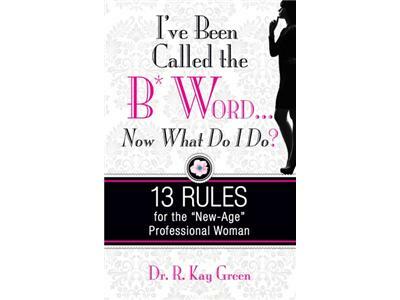 Dr. R. Kay Green's new book I've Been Called the B* Word... Now what do I do? 13 Rules for the "New-Age" Professional Woman, will definitely turn heads and spark some deep conversations. With the focus being on women from every walk of life more now than ever before, Dr. Kay Green's book comes at the right time to discuss women in the business world. We spoke about her book, qualities that make a successfull CEO/entrepreneur, and adversity that women face in the corporate world. 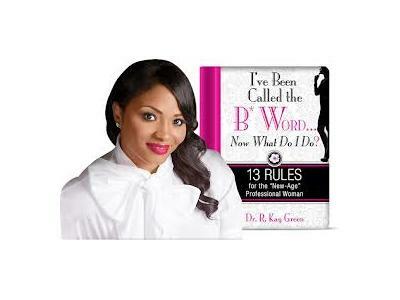 Dr. R. Kay Green, CEO/President of RKO Marketing Solutions, LLC and author of the new book I've Been Called the B* Word... Now what do I do? 13 Rules for the "New-Age" Professional Woman. For over 13 years, Dr. Green has been developing a greater understanding of the Marketing and Business disciplines and is currently featured on Great Women Speakers, Great African-American Speakers, Marketing Experits, Black Experts, Guru.com and Savor the Success. She created a multiple six-figure business by age 28 and has instructed over 350 courses online, with affiliations with West Virginia University, Embry-Riddle University, University of California-Irvine and Florida Institute of Technology. Dr. Green holds a Doctorate of Business Administration in Marketing. She has also earned an Associate of Arts in Marketing Management, a Bachelor of Business Administration in Marketing, a Master of Business Administration in Marketing and Management, and has completed PhD coursework in Leadership and Organization Change.